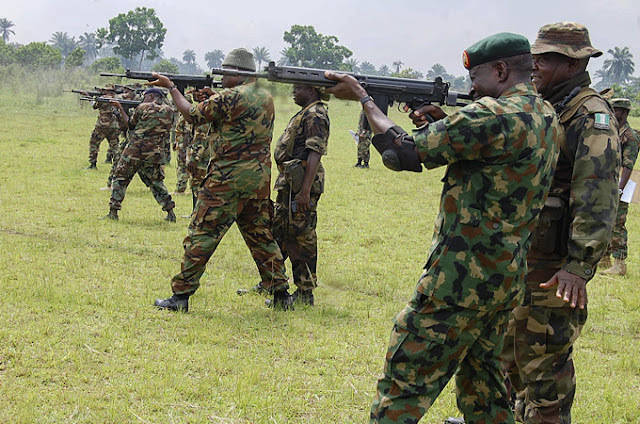 Peter Omobuwa, a corporal of the Nigerian Army, reportedly opened fire on one IF Ibiama, a captain, at Banki junction in Bama local government area of Borno State, on Sunday. It was gathered that the officer, who suffered bullet wounds was taken to the 21 Brigade Medical Center, while the soldier was detained. However, what transpired between the duo remains unknown at the moment. “A junior officer with service number N/12897 open fired at the senior officer with service number 02NA/52/2588. The junior officer was disarmed and stabilised in our detention facility,” a source told The Cable. He added that a military panel had been set up to investigate the matter, adding that findings would be made public within one week. Sani Usman, army spokesman, could not be reached at the time of filing this report.